Cotswold RAW complete meals contain all the building blocks for a natural and biologically appropriate raw diet. The entire range is available at Mobile Pet Foods. Feed your dog a fantastic Raw Dog Food. What makes Cotswold RAW unique is their easy to use sausage form. This makes it easier to portion control your dogs food, to make sure your dog is getting the right amount for them. 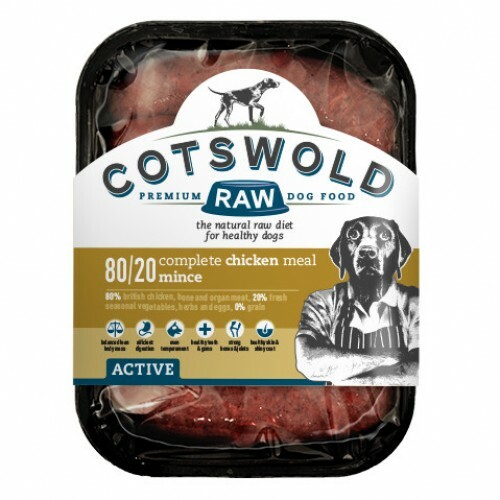 Using completely British produce and seasonal produce Cotswold RAW have developed a biologically appropriate RAW food for your dog, Made exclusively in the heart of the cotswolds.